On Saturday September 29, 2018, American Legion Post 227 held a work party to winterize the Post building. Members gathered Saturday morning to repair several problem areas. Trustee Bob Grasmick used the weed whacker in flower beds and hedges. Post Commander Larry Fischer cleaned the pavement prior to re-striping the parking spaces. 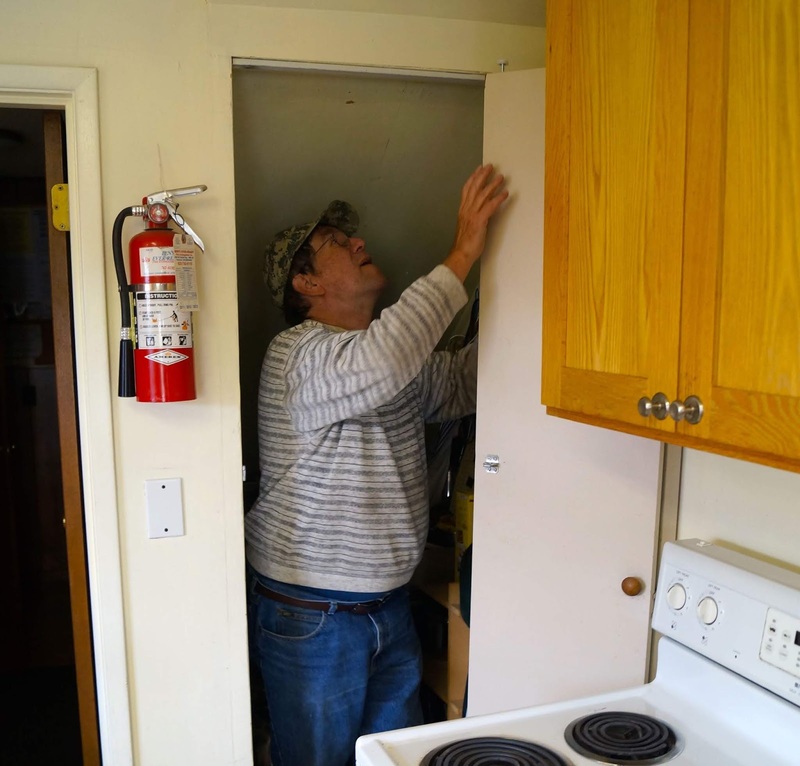 Earl Thompson tackles the pantry doors. Post Adjutant Earl Thompson replaced the support track on the kitchen pantry doors. Repairs were made to the roof, entry doors and many other areas. Post 227 is now ready for whatever the winter may bring. American Legion Post 227 (Starr Sutherland Jr. Post 227) is located at 14521 17th Ave NE, Shoreline 98155.